Attention patients with IBD and family members! 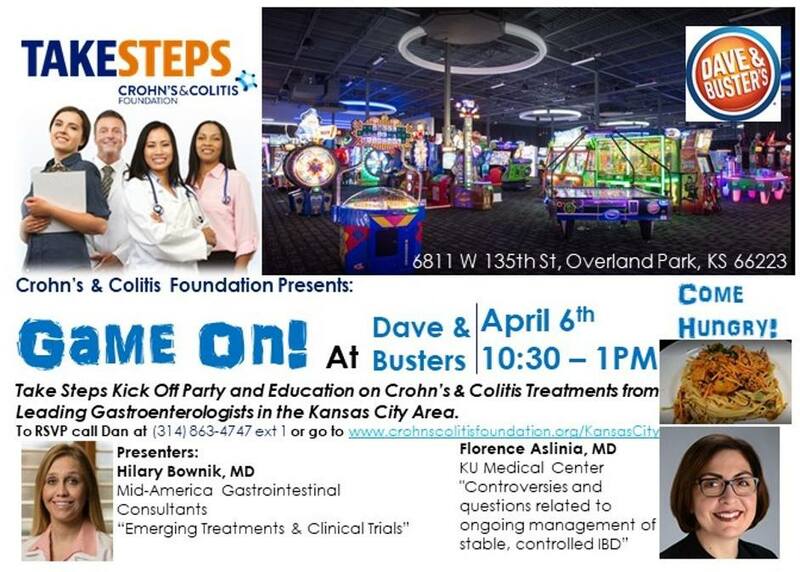 The Crohn’s and Colitis Foundation is hosting an educational event and kickoff party before the annual walk. It’s FREE food and games at Dave and Busters on April 6. Please register here!